Could you please let me know which colors these are? Thanks. Hi, thanks so much for your interest! This exterior color design is available for purchase through my business, Color in Space Inc. 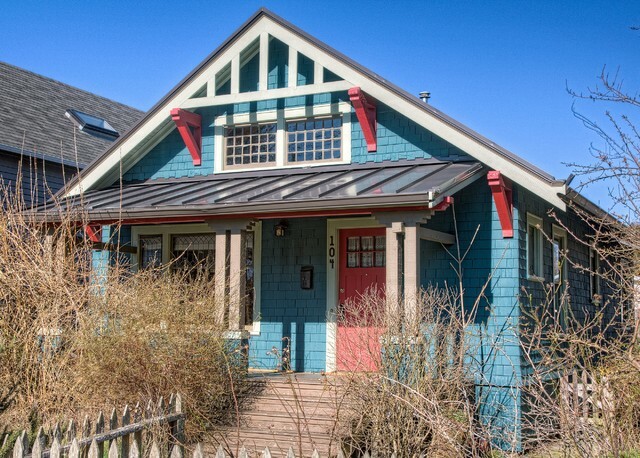 It is listed as "Funky Bungalow" on the Exterior Color Designs under "Purchase Color." http://colorinspace.com/exterior_color.php. It's a fun one! We like the upstairs window and the thing in the roof peak.